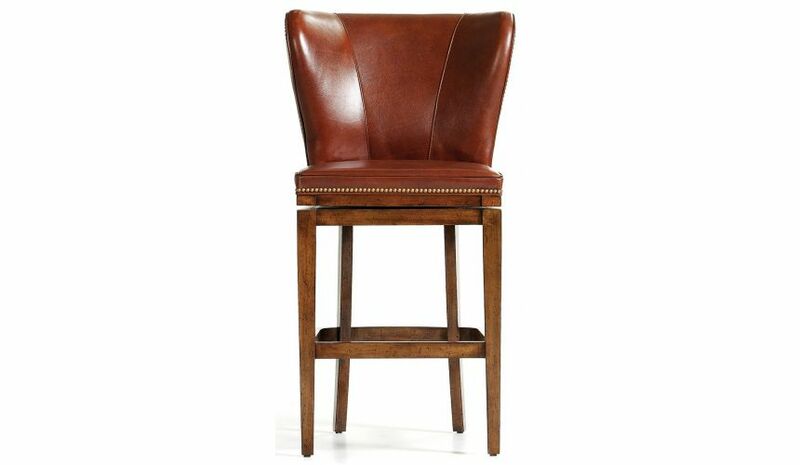 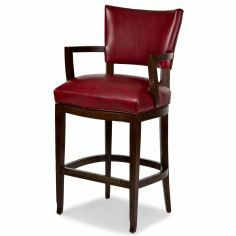 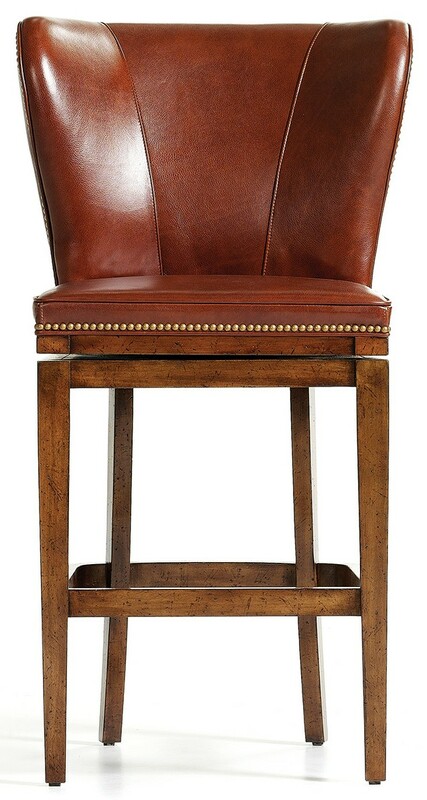 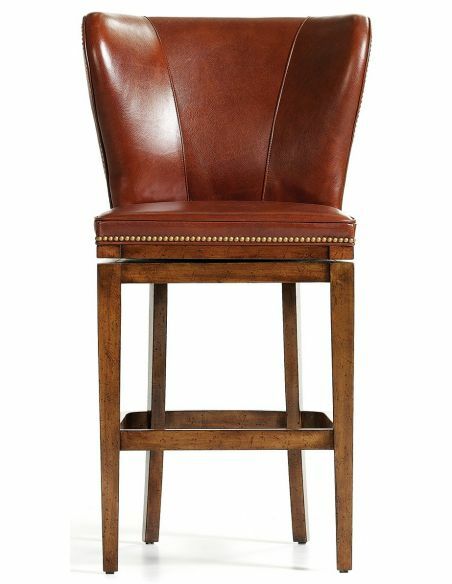 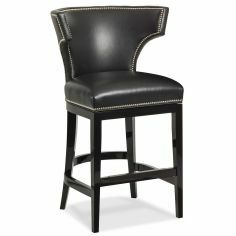 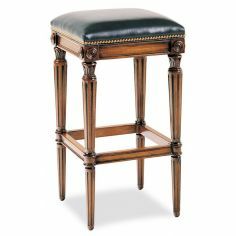 High back bar stool covered in a warm luxurious brown leather with nailhead trim. 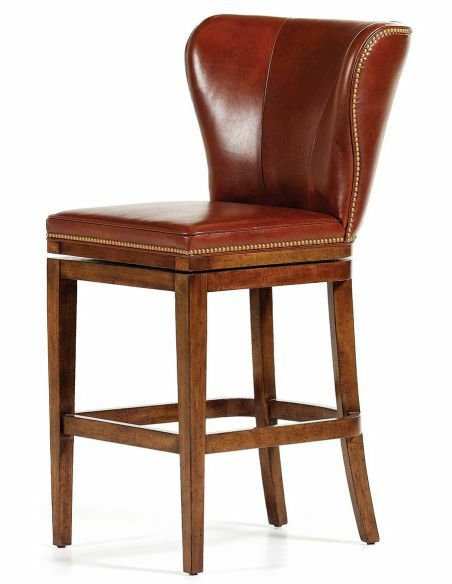 Height 46.5", Width 25", Depth 27" Inside: Width 22", Depth 19"Seat Height: 30"
We source the best leathers from the USA, Italy, and Brazil to bring you our Lavish leathers collection. 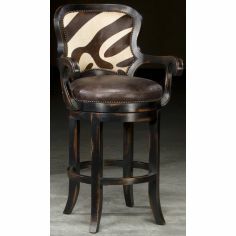 There are many colors, textures and exotic hides to choose from and we can combine with or fabrics if preferred. 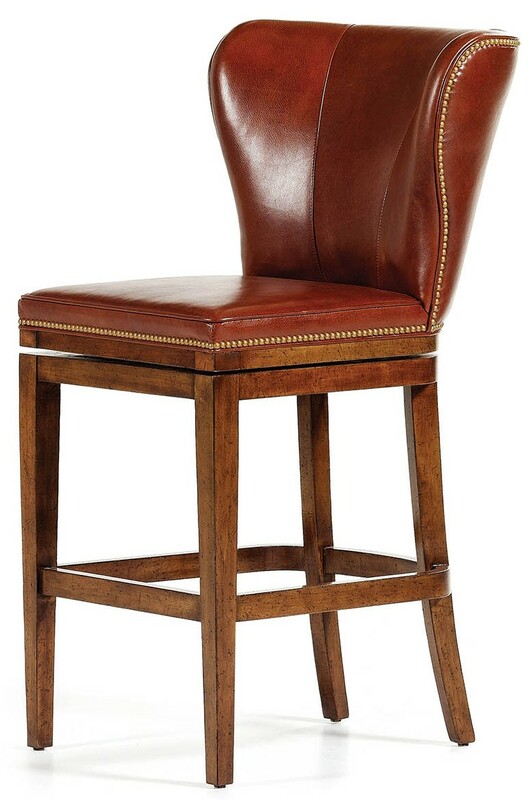 This item can be custom designed and is made in USA. 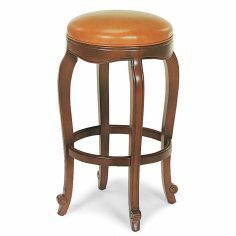 Made to order approximately 12-14 weeks. 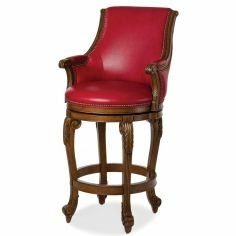 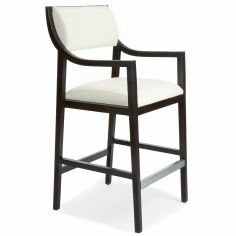 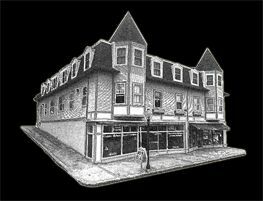 Bernadette Livingston Furniture is one of the worlds best sources for all fine home furnishings.